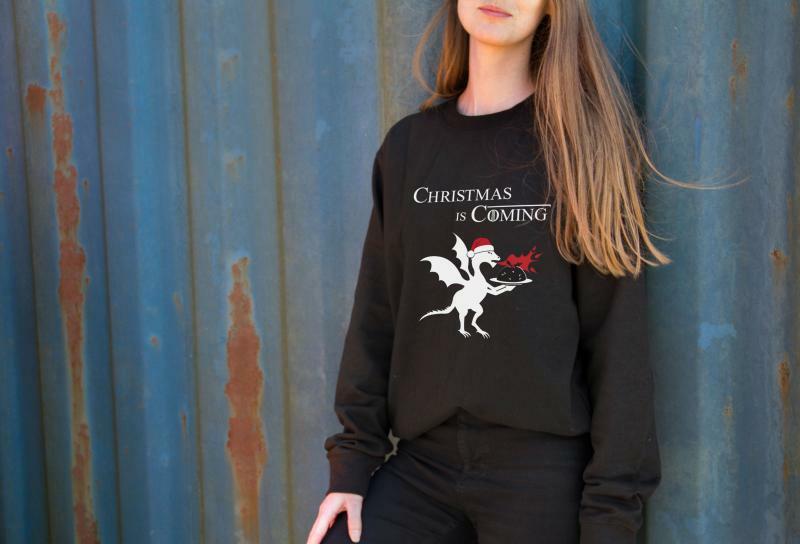 'Christmas Is Coming' printed Christmas sweatshirt. 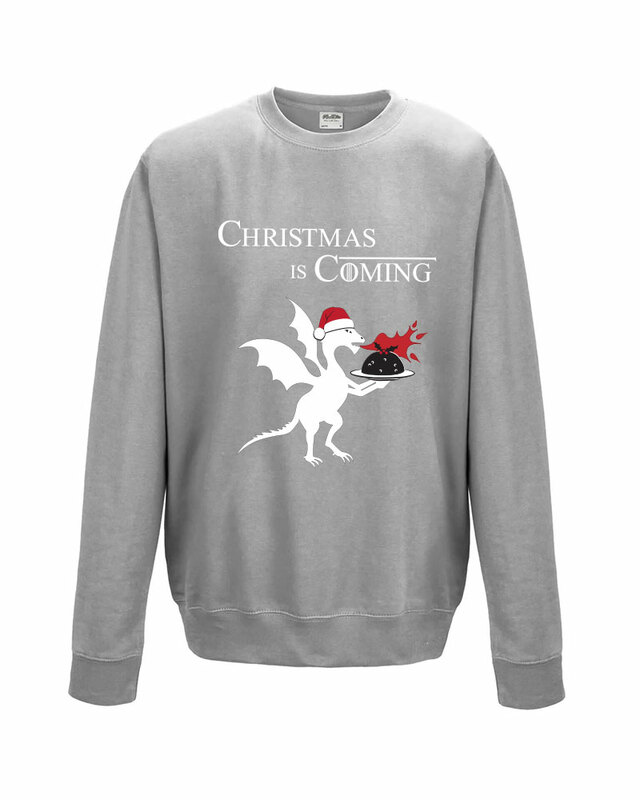 The perfect gift for a GOT fan and those loyal to House Stark. 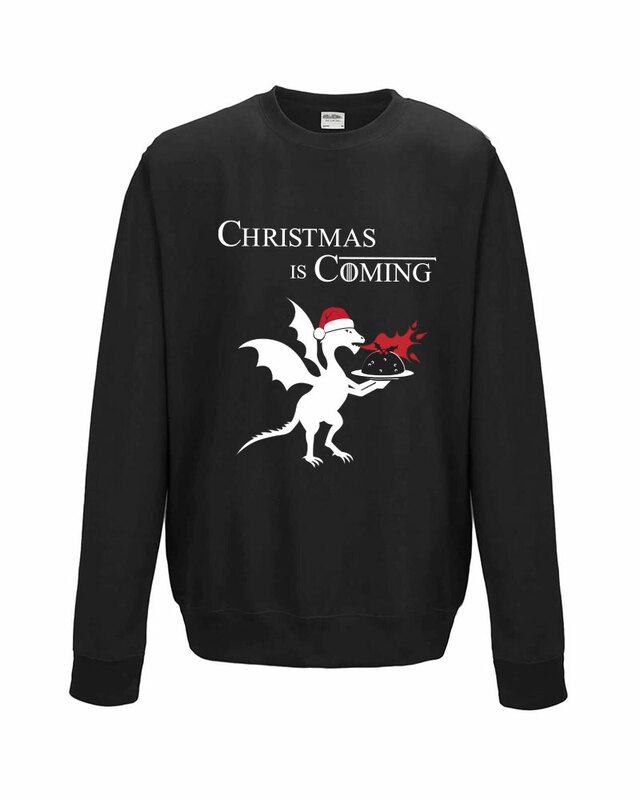 For reference the female model in our main image is a UK size 10 and wears a Medium. 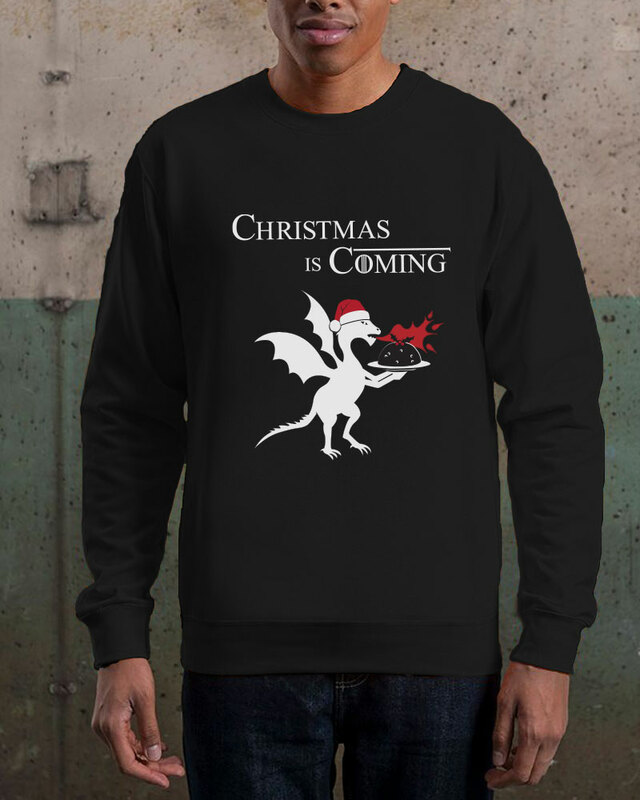 Please allow up to 3 days for processing before dispatch.